Brass and Iron Castings of every Description. Lion survives to this day having escaped scrapping through the semi-retirement it got as a stationary engine for the Mersey Docks & Harbour Board. It returned to the Kitson works in 1930 for restoration to original condition. For many years it was the world’s oldest working steam locomotive, it also got a starring role in the film ‘The Titfield Thunderbolt’. It isn’t currently a runner but it is on static display in the Liverpool Museum. It is interesting to note that even with Lion sleeping (there’s probably a song about that) the two oldest working steam locomotives in the world are still both Kitson engines. 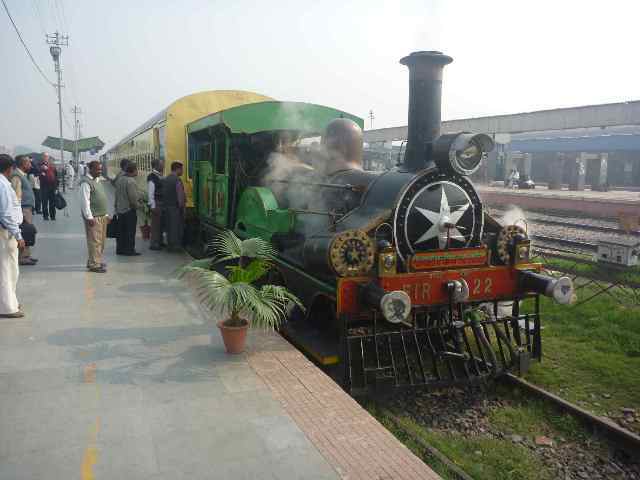 Fairy Queen in India continues to prove popular on its special trains that operate in the Delhi area. This has prompted the railway museum in Calcutta to restore the slightly older (literally one works number previous) Express to working order. The company went through a number of management line-up changes in its early days. They had barely begun before Charles Todd brought in a new partner, John Shepherd Jr and disolved the partnership with Kitson and Laird. Two new engine making partnerships were formed of this break up and this part of Hunslet had become a community of separate engine builders. The Shepherd & Todd partnership, situated on the south side of Pearson Street, didn't last long either before Todd left that to form the Sun Foundry on Dewsbury Road in 1844, the Shepherd & Todd works went on to become E.B.Wilson’s Railway Foundry and is covered in a seperate article. Kitson's works was given the name Airedale Foundry for a short while the company was referred to as Kitson – Laird or Laird – Kitson, however David Laird wasn’t getting the return on his investment that he had hoped for and he too departed. New partners were found; Isacc Thompson and William Hewitson, the firm continued under the name Kitson, Thompson & Hewitson. In 1849 Kitson, Thompson & Hewitson built a design of goods engine for the Leeds and Thirsk Railway, this was of 0-6-0 wheel arangement with inside frames. This basic layout dominated small goods engines for the rest of the steam age. 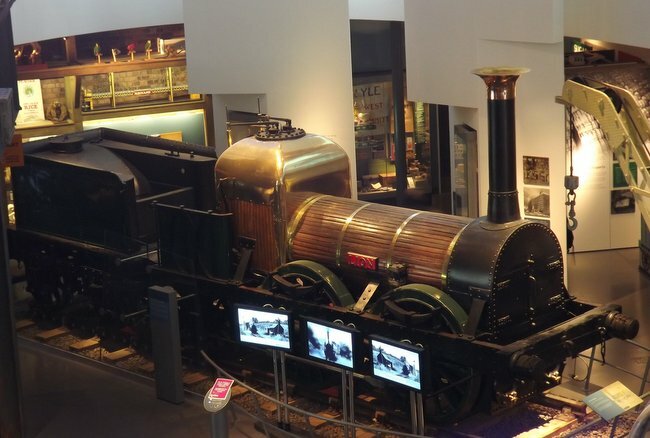 In 1851 they won a gold medal at the Great Exhibition for an early tank engine they exhibited. In 1854 Kitson took over the Monk Bridge Ironworks, this then being managed by his sons Frederick William and James Kitson Jnr. This ensured a good supply of Yorkshire iron for his own works. The Monk Bridge works survived until fairly recently. The company became involved in the construction of Ploughing engines when they received orders from John Fowler & Co. John Fowler had been working for a number of years to develop machinery for agricultural use and was beginning to see his labours rewarded. Following success at a Royal Agricultural Society show the orders were coming in. Some of the early engines had been built by Robert Stephenson & Co at Newcastle however in 1860 he turned to Kitson & Hewitson for subsequent orders. With this business booming Fowler established his own works adjacent to the Airedale Foundry with the financial backing of Hewitson. In 1863 Hewitson died, from then on the company was referred to as Kitson & Co. Kitson's sons Frederick William, James Kitson Jnr and John Hawthorne (who managed the works from 1863) became partners making the company a family business. The firm supplied locomotives for many of the mainline railway companies and seemed to retain a good deal of the mainline engine work whilst many other independent engine making companies were concentrating on industrial locomotives. From 1866 Kitson & Co built many of Kirtley's double frame goods engines for the Midland Railway. Unlike the other Leeds engine companies that were producing mainly tank engines, Kitson were building a large number of tender locomotives. Even express passenger locomotives were built by Kitson & Co, such as the 5 'H1' class Brighton Atlantics built for the London, Brighton & South Coast Railway from 1905. Kitson & Co designed a number of locomotives for Victorian Railways in Australia. The chief commissioner for the Victorian Railways at the time was Mr. R. Speight, he had previously served with the Midland Railway back in England and must have thought favourably of the engines Kitson & Co had supplied that company. 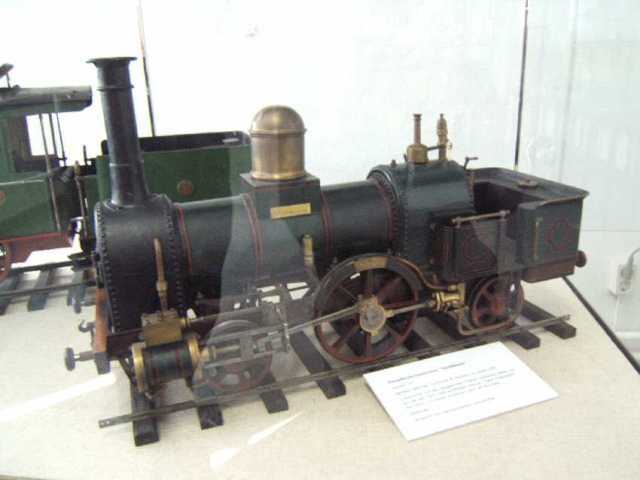 Two prototypes were built in Leeds and displayed in the Centennial International Exhibition in Melbourne in 1888, the Kitson designed engines were then built by Australian firms. 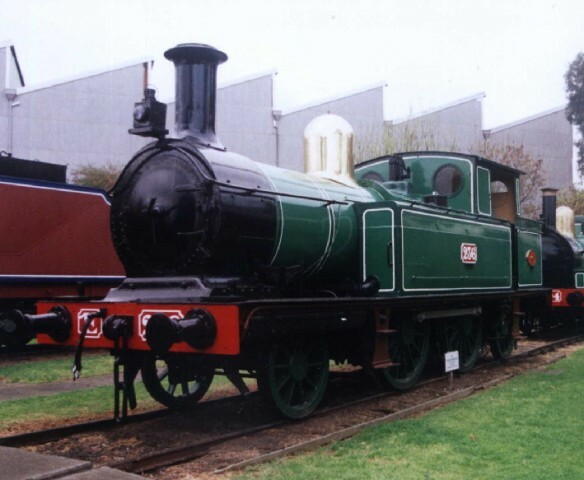 Phoenix Foundry of Balarat built 45 of the E class 2-4-2T and David Munroe built 25. 30 Y class 0-6-0 goods engines were built in the Phoenix workshops at Balarat. India provided a large market for Kitson locomotives, from those early locos mentioned previously they went on to build anything from the large 2-8-0s of the Khyber Pass line to narrow gauge sugar cane locos. Kitson & Co also went in to building tram engines from 1876 engines to a design by W.R. Rowan of Copenhagen. A couple of years later they went on to produce their own design of vertical boilered tramway engine, this proved unsuccessful and the company subsequently used their own design of locomotive type boilers in its tram engines. 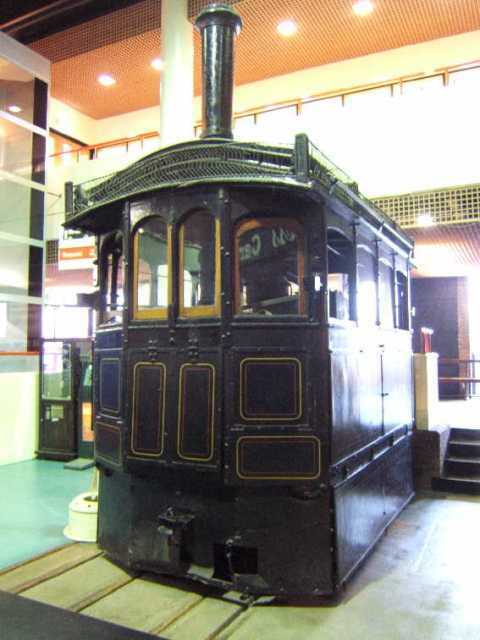 In total around 300 steam tram engines were built and the works had a connection to the Leeds Tramway system as a result of this work. More on Kitson's tram making can be found on our tram making article. A similar development to the tram engine production was the construction of Railmotors, single carriage vehicles with their own permanently attached small steam locomotive at one end. A number of Railmotors were produced but the idea wasn’t popular for very long as it offered much more flexibility and ease of maintenance to just have a small engine which could be detached from its carriage. One of the Railmotors survives at the Pichi Richi Railway in Australia. If Australia is a long way to go to see this machine in action try the video clip below. The economic downturn of the 1920s saw a huge decline in locomotive orders. Kitson had enough orders on its books to stay afloat, an order for 12 Inproved Directors for the LNER in 1924 no doubt making a big difference. These were built to a Great Central Railway design but were buit for use in Scotland, this was seen as a quick solution to a power shortage on the former North British Railway by the newley formed LNER. Neighbouring firm Manning Wardle were not so lucky. In their final year only 4 locomotives were built in their Boyne Engine Works, closure was inevitable. Kitson took over Manning Wardle's designs and goodwill. They went on to construct a number of Manning Wardle designed locos. The companies that survived the hard times of the 20s and 30s were generally the ones that embraced the internal combustion engine. Kitson didn't really embrace the internal combustion engine. One interesting prototype that was produced was the Kitson - Still locomotive. Based on an invention by William Joseph Still, this was a steam / diesel hybrid loco that was trialed by the LNER. The engine used a double acting cylinder, steam on one side and internal combustion on the other. Steam was good for providing a boost of power for starting up or suddenly needing to work harder, where as diesel was ideal for continuous running. The hybrid engine provided the best of both worlds with steam providing that extra boost of power when it was needed and the diesel doing much of the work when the engine was running continuously. The exhaust from the diesel was used to heat the steam, saving fuel in the oil fired steam engine. Though the trials went well the development work cost a great deal and no more were built. Development of diesel locomotives was coming along and the railway companies ordered conventional diesel locomotives. The Kitson Still locomotive was returned to Kitson and broken up. Receivers were called in during 1934 and the firm continued under administration until 1937. On June 25th 1937 Railway Gazette records "Prior to the slump in the heavy engineering industry in recent years, the firm enjoyed a successful career, but owing to the serious trade decline afterwards experienced and the inevitable withdrawal of capital as the older members died out, the firm placed itself in the hands of the debenture holders, and in 1934 Sir Leonard Coates was appointed receiver on their behalf. Messrs. Kinloch & Co., merchant bankers of 118, Old Broad Street have now provided further working capital for the company and aquired a controlling interest. The receivership has been brought to an end." Kitson were not out of the woods yet though, the downturn was still biting across the industry. In 1938 the Locomotive Manufacturers Association were overseeing a reorganisation of independant locomotive manufacturers as many were failing. The LMA came to an agreement wereby Kitson & Co would cease manufacture of locomotives, the designs and goodwill of Kitson's locomotive business would pass to the newly merged Robert Stevenson and Hawthornes who would in turn pay the LMA a 10% levy on subsequent sales of Kitson and Manning Warldle designs. The deal also included the lease back of the works itself at a peppercorn rate. On December 19th 1938 the High Court confirmed a reduction of the capital of Kitson & Co. Ltd. from £335,000 to £178,311 Though the deals the LMA had overseen should have procluded it, due to wartime necessity construction of components for locomotives continued. After 1938 work for the mainline railway companies included 6 boilers for Southern Railway 'N Class' locomotives and cylinders for the first batch of the Southern's 'West Country' pacifics. Boilers for Austerity tank engines produced at other local works were also produced in the Airedale Foundry. During the war years the works was used inevitably for munitions production. In 1945 the works, remaining assets, business and goodwill of Kitson & Co were bought by local engine maker J&H Mclaren. McLaren raised the funds for this take over by mortgaging their Midland Engine Works and the Boyne Engine Works, previously aquired following the demise of Manning Wardle. The agreement to take over the Kitson works included the stipulation that, honouring the 1938 agreement, the company could not build locomotives at the works. The works was renamed the Airedale Works and produced diesel engines until 1959 when this work was moved to other Hawker Siddelly group companies. The site is now occupied by industrial units. The last surviving building of the works, the V shop, survives as a carpet shop and office. Only one surviving Kitson locomotive can be found locally and that is 5469 Conway at the Middleton Railway (however this is currently at Shildon for cosmetic restoration) Several Kitson locomotives survive around the world, some notable examples include a couple of the 2-8-0 tender locos of the Khyber Pass route, a handful of the Kitson-Mayers in South America and of course India's oldest locos Express and Fairy Queen. Old Steam Locomotives in South Africa A few Kitson locos survive in South Africa, details are on this site.